Jesse Eisenberg and Kristen Stewart are great in the film, and seem to have pretty good chemistry throughout. The real star of “Cafe Society”, though, is the environments around the actors. There’s not an incredibly thrilling story to tell, and it certainly doesn’t offer any great conclusion, but I felt like the story that does exist was there mostly to navigate from one environment to another. The great music and all the life in the background really shine from beginning to end, and I never felt bored or disinterested. I know I’m probably not doing a great job of selling the movie, but I think it’ll probably remain underappreciated and overlooked by most people, and that’s sad. There’s not much more I have to say about the film. I wasn’t blown away, and was never in awe, but it felt good watching it. I’m glad we gave it a chance. 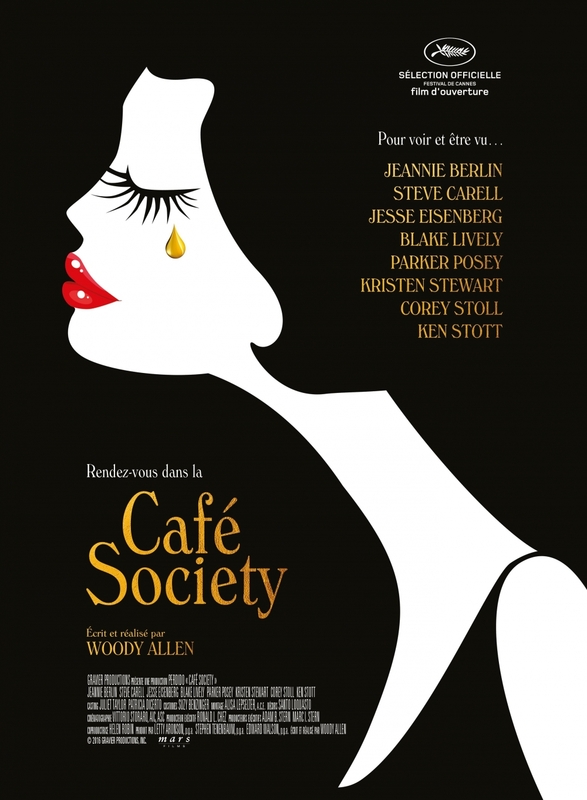 This entry was posted in Movies and tagged Cafe Society, Jesse Eisenberg, Kristen Stewart, Movies, Woody Allen. Bookmark the permalink.